When it comes to receiving family dental care in Oregon City, you have a lot of wonderful options. Regular checkups and cleanings help keep your teeth and gums healthy and disease free, while cosmetic dental care can brighten your smile or correct or cover crooked or uneven teeth. Of course, regular dental care can also help lower your risk of disease and improve your long-term health. In fact, visiting our staff at Oregon City Dentistry twice a year may actually decrease your risk of pneumonia by reducing harmful bacteria in the mouth, suggest the results of a new study. Approximately one million Americans become ill due to a pneumonia infection each year resulting in 50,000 deaths. While an infection is more likely to occur in older patients and those with condition such as lung disease or AIDS, anyone can develop pneumonia. Based on data collected from a national database of over 26,000 people, researchers have found that individuals who never visit the dentist have an 86 percent higher risk of pneumonia when compared to those that received regular dental care twice a year. As part of the study, researchers examined the data collected as part of the 2013 Medical Expenditure Panel Survey, which asked participants about their access to health care – including dental care – cost and patient satisfaction. Researchers identified 441 of over 26,000 individuals in the database that had bacterial pneumonia and that those who never received dental cleanings or checkups has an 86 percent higher risk of developing pneumonia when compared to individuals that received twice-yearly dental care. The human body contains 10 times more microbes (viruses, fungi, and bacteria) as human cells on or in the body, from the gastrointestinal system to the skin. Some types of microbes benefit the body while others represent a potential risk. However, even so-called “bad” microbes only cause disease under certain circumstances. In some instances, bacteria can be accidentally inhaled or aspirated into the lungs and cause pneumonia. 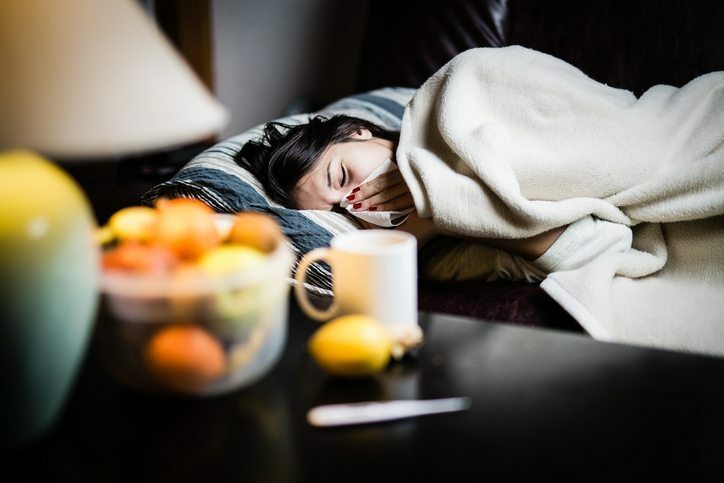 The type of bacteria that commonly causes patients to develop pneumonia includes anaerobic, staphylococcus, haemophilus, and streptococcus, a type of bacteria commonly linked to many oral health issues. By receiving regular dental exams and cleanings, many types of harmful bacteria are removed from the mouth before they can be aspirated into the lungs and cause an infection that leads to pneumonia. “Our study provides further evidence that oral health is linked to overall health, and suggests that it’s important to incorporate dental care into routine preventive healthcare,” says Dr. Doll. When it comes to receiving family dental care in Oregon City, it’s important to think of the treatment you receive as more than just protecting the health of your teeth and gums. In recent years, a growing amount of research has found compelling links between an individual’s oral and overall health. In addition to an increased risk of pneumonia, studies have found compelling links between oral diseases such as tooth decay and gum disease with a variety of systemic health problems that include everything from dementia and arthritis to heart disease and cancer. What this type of research has shown is the need to think of our oral and overall health more holistically. The state of our oral health can dramatically impact our overall health in ways that many of us would never consider. With more research emerging that further reinforces the mouth/body connection, who knows what future health issues will emerge linked to our oral health that directly impact our long-term health. A little prevention today can go a long way towards ensuring a healthier, happier tomorrow.